Welcome to the clearinghouse on global climate change issues, a project of SourceWatch. The badge to your right appears on key articles in SourceWatch that relate to climate change, and the box on your left has links on how you can help write history. This page highlights key aspects of climate change policy and the debate over a replacement agreement to the Kyoto Protocol. The December 2009 United Nations’ Climate Change Convention in Copenhagen, COP15, failed to produce an agreement, and negotiations at the COP16 conference in Mexico City in December 2010 also failed to produce an agreement on how to replace the Kyoto accords. World Nuclear News, a pro-nuclear website run by the World Nuclear Association, is upbeat about the draft "Danish text" climate change agreement. The text, which was secretly drafted by the governments of the U.K., the U.S., Denmark and Australia, provoked an uproar at the COP15 conference in Copenhagen. World Nuclear News notes that that "there are no technology exclusions in the Danish text, in contrast to previous agreements which have seen nuclear excluded from a group of favoured power sources." The draft text states that parties "commit to enable the accelerated large scale development, transfer and deployment of environmentally sound and climate friendly technologies". The nuclear industry has been lobbying to have nuclear projects included in the Clean Development Mechanism, a scheme which allows the funding of 'low carbon' projects in developing countries. The draft agreement would also the allow the experimental carbon capture and storage technology, which has been promoted by the coal industry, to be included in the Clean Development Mechanism. The World Coal Institute, the power generation industry and some governments want experimental Carbon Capture and Storage projects included in the Clean Development Mechanism (CDM). While there are no commercial-scale CCS projects operating anywhere in the world, major coal-exporting and consuming countries in the industrialised world want CDM funding used to fund trial projects in less-developed countries. See Clean Development Mechanism and Carbon Capture and Storage and "The Coal Industry Wants Your Cash to Save Them". 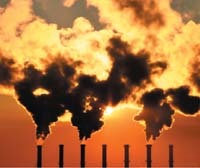 The COP15 conference ended with little progress being made on finalising a replacement agreement to the Kyoto Protocol. Instead, the U.S. and a group of other countries drafted the Copenhagen Accord, a 12-point plan aimed at providing a global framework for addressing global warming. However, the “accord” has been widely criticized for the ‘take it or leave it’ approach to its development and its lack of specific binding targets and strategies. The accord had its origins in the Copenhagen Agreement which was developed by the "Circle of Commitment" and leaked to the Guardian early during the COP15 conference. The most recent international climate conference, COP16, took place in Mexico from November 29 – December 10. One important issue discussed is whether a new agreement will be expanded to include greenhouse gases that are currently excluded from the Kyoto Protocol. See Greenhouse gases omitted from the Kyoto Protocol. Climate Action Network, | ECO-Daily NGO Newsletter. 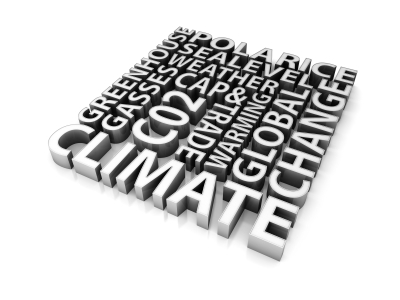 During COP conferences the Climate Action Network publishes a bulletin on the day's events from the perspective of the major environmental nongovernmental organizations working on global warming. They also have a blog feed and a Twitter feed. Earth Negotiations Bulletin. The Canadian-based IISD publishes a daily bulletin at the negotiating meetings, as well as discussion papers helpful information on key post-Kyoto treaty options. They also have a Twitter feed. Third World Network, The Third World Network published one or more summary bulletins per day during negotiating sessions and had created numerous background papers. Mohamed Nasheed, the President of the Maldives, delivered a powerful speech to a 350.org event at the COP15 conference. In it he urged listeners to continue protests in support of dramatic greenhouse gas reductions. "My message to you is to continue the protests. Continue after Copenhagen. Continue despite the odds. And eventually, together, we will reach that crucial number: Three – five – oh. In all political agreements, you have to be prepared to negotiate. You have to be prepared to compromise; to give and take. That is the nature of politics. But physics isn’t politics. On climate change, there are things on which we cannot negotiate. There are scientific bottom lines that we have to respect. We know what the laws of physics say. And I think you know too. The most important number in the world. The most important number you’ll ever hear. The most important number you’ll ever say. These three words: Three – five – oh. (Three – five – oh) (Three - five – oh)". Add material about a PR company, The Hawthorn Group which recently newsletter outlined the "grassroots campaign Hawthorn created and managed for the American Coalition for Clean Coal Electricity (ACCCE)." ACCCE is a coal industry front group. Investigate the International Emissions Trading Association - who do they represent and what policies do they advocate? Help summarize the work of the International Risk Governance Council, which published a 32-page paper Regulation of Carbon Capture and Storage, available here (Pdf). The report was funded by corporations such as E.ON Energie, the Allianz Technology Center on behalf of the Dresdner Bank Foundation, Resources for the Future (RFF) and Swiss Re. It'd be great to have a more detailed summary on the Regulation of Carbon Capture and Storage (Report) page. Help update the articles on the Clean Development Mechanism and Carbon Capture and Storage and the Global Energy Forum. This page was last edited on 22 May 2015, at 16:52.